The news arrived late yesteday afternoon in the City Chambers that the SNP Government, having last year awarded Glasgow the lowest funding settlement of any local authority, had ripped off Glasgow yet again. Early this year John Swinney had told Glasgow to expect a reduction of 2.6%, equivalent to £43 million in cuts. Now Glasgow residents have been told we are to face instead a reduction of 3.6%, adding a further cut of £13.5 million. The Labour administration are now warning that “brutal and unpalatable” cuts options across all services will now be back on the table for consideration. 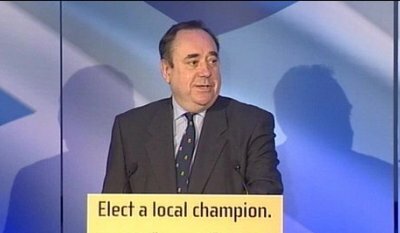 And what of the SNP who said they would be ‘Local Champions’ for our communities. Had Glasgow received the same deal as SNP controlled West Lothian then the city would actually be £46 million better off. SNP Councillors in Glasgow however are out defending this cut – saying Glasgow got its fair share! With ‘Champions’ like this who need’s enemies. The Chief Executive has now written to all staff to alert them to the consequencies of the Scottish Government’s decision. You will be aware from reading the newspapers or listening to the radio that the Scottish Government has now announced our funding allocation for next year. I want to tell you what this means for us. The Scottish Government had previously announced that Local Government would receive a cut in budget of 2.6%. This would have meant a reduction in Glasgow’s budget of some £37 million and you will remember that last month we published a draft budget based on these figures.. 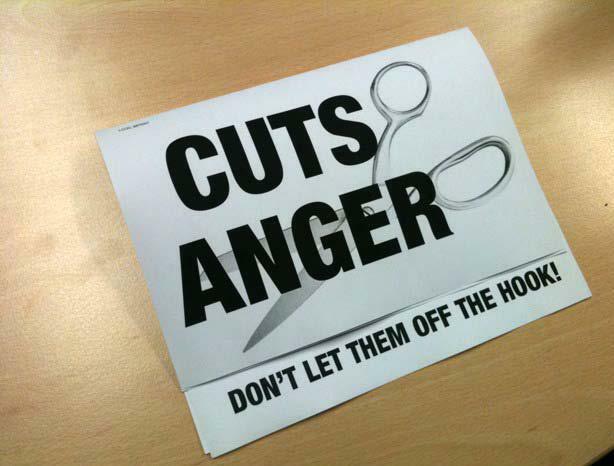 In actual fact we have had our budget cut by 3.6% which means additional cuts to our budget of some £13.5 million. The circular which was published by the Scottish Government, along with an initial analysis – Finance Settlement Key Points – by the Executive Director of Finance.. It is also worth reflecting on the fact that if we had received the same cut as West Lothian Council, who received the smallest cut at 0.32%, our budget would require to be cut by a total of £5 million next year, not the £51 million by which we will actually have to cut it. The Executive Director of Finance will be working to amend our draft budget to take into account these new, much deeper cuts. I am afraid I cannot say at this time when the new draft will be available for you to read. As you might imagine, a great deal of work will be required, probably through the Christmas break, so it may be late January before we have anything to share with you. Rest assured I will communicate with you again as soon as the draft budget is available. I would like to stress that you must not underestimate the seriousness of the situation we now face. It is very likely that there will be difficult and painful cuts to services which we are proud to deliver and on which we all rely as citizens. I am confident that if any group of staff can get us through this it is you, however it will not be easy. As winter starts to bite with heavy snow falls and freezing temperatures I’ve been contacted about the Council’s gritting policy and the location of the nearest grit bin. To try to help I’ve posted the answers to the Frequently Asked Questions supplied by Land and Environmental Services as well links to the winter Maintenance Plan and a list of all grit bin locations in our ward. Q1. HOW DO YOU DECIDE WHERE TO SALT? · Emergency Facility Access Routes. A list of agreed precautionary treatment targets can be found in our Winter Maintenance Plan along with treatment priorities in the continued presence of snow or ice on the City’s roads within normal working hours. Q2. HOW DO YOU DECIDE WHEN TO SALT? A2. Land & Environmental Services has a contract with the Metreological Office to supply weather forecasts for Glasgow each day from the beginning of October until mid May.The Service has also installed ice stations at 5 selected locations within the City which, together with the facility to access 15 other stations in adjacent authorities, help to improve the accuracy of forecasts. Staff can access information from these stations via portable computers.Pre-gritting operations are undertaken from the beginning of November until the end of March on a standby arrangement. Ad hoc gritting is done outwith this period. Q3 ARE FOOTWAYS (OR PAVEMENTS) TREATED? A3. Yes. A list of our footway treatment priorities can be found in our Winter Maintenance Plan. Q4. HOW CAN I GET SALT? A4. You can visit a Land & Environmental Services’ Depot and pick up some salt (maximum 10 kgs) or take salt from one of approximately 500 bins located around the City. Q5. HOW DO I GET A GRIT BIN RELOCATED? A5. 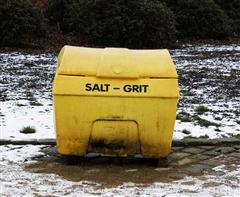 Grit bin locations have been agreed with local communities. Further details of the Council’s policy on grit bins can be found in the Council Minutes.If you want to request that a bin be relocated, please contact Land & Environmental Services. Q6. HOW DO I GET MY ROAD GRITTED? A6. Check if your road is covered by the criteria for pre-gritting as per Section 3 of the Winter Maintenance Plan. 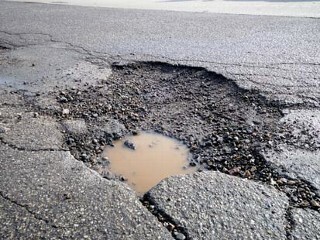 Roads outwith the priority criteria will be treated in accordance with Section 3.3.1 in the Winter Maintenance Plan. This morning saw the release of details of spending cuts of over £100 million being considered by the city’s Labour administration. the possible removal of the school breakfast provision. moving school support staff from 52 week contracts to term time working contracts. Also proposed but not recommended included the closure of Blairvadoch Outdoor Resource Centre, increasing the cost of school meals, cutting teacher numbers and scrapping nurture classes. Options under consideration elsewhere include the Assisted House Gardens Maintenance scheme which provides a service for over 17,000 vulnerable citizens. Labour are now considering a proposal to introduce a new weekly charge for this service. Glasgow’s Labour Administration are proposing to scrap 4 of Glasgow’s current Local Regeneration Agencies and merge them into the unnamed remaining 5th LRA to create one new agency controlling the entire regeneration budget for Glasgow. Glasgow’s 5 LRAs currently employ 800 staff who must now wait while the Council decides on the scale of ‘efficiency savings’ that a single Local Regeneration Company can deliver. There may be a sound business case for a single strategic body to oversee local regeneration in the city but the report before the Council’s Executive Committee today was only given to opposition Councillors less than 48 hours before the meeting and there are significant questions unanswered in the report. How many staff will be lost? how many local offices will close? how will this impact on the people who use the services? North LRA has managed to get almost 900 unemployed people into work this year, helped local organisations to recruit staff and establish new businesses in Maryhill Kelvin. It has been at the heart of the business plans to save Ledgowan and Cadder Community Halls. It has also secured apprenticeships for young people in partnership with housing associations as well as helping youngsters in our area gain Commonwealth apprenticeships, it has also helped people back into further education and secured multi-million pound investment in the new Saracen Exchange project. Labour want to scrap the current network of Local Regeneration Agencies and have a new single company in place by 31st March 2011. The timetable looks impossible and the information to justify this is lacking in detail. Rest assured, as your Liberal Democrat Councillors, Mary Paris and I will want to ensure that any changes pushed through by Labour protect staff and enhance the ongoing work to create badly needed jobs and businesses in Maryhill Kelvin.